In 2010, the U.S. Supreme Court's ruling in Citizens United v. Federal Election Commission struck down laws restricting corporate and union spending in elections. This decision prompted Americans from all political backgrounds to organize in opposition to this affront on our one-person, one-vote democracy. 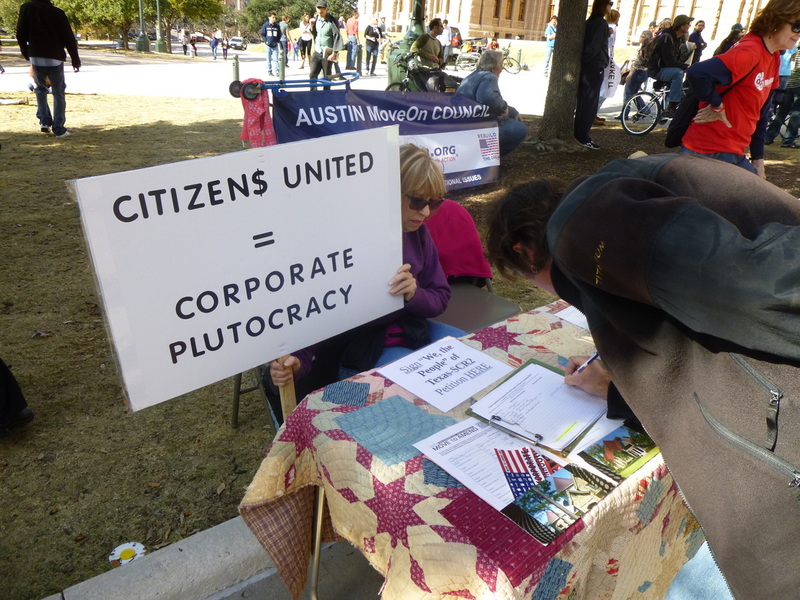 Texans United to Amend (TUTA) is a state-wide network of independent, grassroots groups dedicated to overturning Citizens United. We are working to pass resolutions at the local and state level calling for an Amendment to the U.S. Constitution to establish that money is not speech and that corporations do not have the rights granted by the constitution to We, the People. "There can be no effective control of corporations while their political activity remains. To put an end to it will be neither a short nor an easy task, but in can be done"